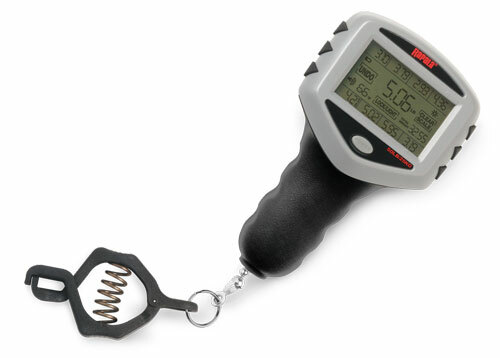 How to use the Rapala Digital Touch Screen Scale RTDS-15, RTDS-50. To turn on and choose preferred measuring units, press and hold POWER button for three seconds (until screen flashes). Next time you turn on your scale the chosen unit will be set as the default. While screen is flashing POWER button to cycle through the units of measure. When desired units are displayed on the screen wait until flashing stops. Adjust scale to zero, press CLEAR SCALE button on touch screen. Turn back light on and off, press LOCK/LIGHT button until back light turns on. Press LOCK/LIGHT button until back light turns off. Turn sound on and off, press SOUND icon button until you hear a beep. To measure weight of fish, add fish to the scale using the clip or hook. The weight of the fish will display on the screen. To store weight into storage bin, after fish is on the clip or hook and the weight displayed on the screen. Press LOCK/LIGHT button once, you will see a flashing check mark. Press the desired storage bin (one thru eight) to save the weight. Weight will be displayed in the selected storage bin. To delete weight stored in bin, press the UNDO button and the desired storage bin at the same time. The CLEAR SCALE button will be flashing. To delete all bins, press the POWER button and the CLEAR SCALE button at the same time. All the storage bins will be flashing. Press the CLEAR SCALE button to delete all bins. To turn off scale, press POWER button for three seconds (until screen goes blank). 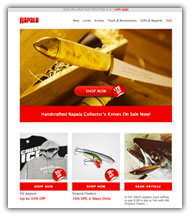 How to use the Rapala Digital Touch Screen Scale RTDS-15, RTDS-50.